William Heyser’s efforts at planting vines and making wine during the Civil War. William Heyser (October 6, 1796 – November 6, 1863) operated several successful business including coppersmithing and paper manufacturing. His profits allowed him to purchased several farms outside of Chambersburg in Franklin County, Pennsylvania. He kept a diary which chronicles just over the last year of his life while he was at home during the Civil War. William Heyser wrote but three entries related to vineyards and wine. Taken out of context they are simply interesting for the sheer frankness at the difficulties he faced. To provide context, I have included additional diary entries because they highlight the weather, the destruction from the army, and the destruction from the insects. You should certainly read the entire diary for an unbiased view. William Heyser was clearly aware that his body was old and that he would die sooner rather than later yet he continued to work on his farm and in his garden. He did so amongst the repeated damage from large camps of soldiers and cavalry maneuvers. William Heyser noted the importance of birds in controlling the insect population but with the arrival of the Rebels a stench fell, the birds left, and the insects prospered. His final entries are frank about his losing battle against weeds and caterpillars. To my farm, find it too dry to plant anything. It will be a loss this year, for a good crop if there is no immediate rain. Rain today. A great saving for the farmers who were facing a great drought. Pleasant. Out to my farm to ascertain the damage done by the soldiers. Much fencing gone for fuel, and what corn they didn’t use, tried to burn. Many farmers without horses and at a loss to do any work. We find no buildings burned or occupants harmed. Cold and rough. At the farm to plant some grapes. Damp and unpleasant. Spent time at bank and then to gas works. Attempted to make some wine, but fear it is all ruined, at this business I am not adept. Beautiful day. Out to my farm with my colored man, Proctor, to set out some fruit trees. I am tired, doubt if I will see their fruit, but others will. Clear and bright. Went again to the farm, this morning, put in some corn and potatoes. Also put up some bird boxes. I am fond of their presence and music, and useful to keeping off insects. They add charm to a country place. Clear but windy. To my farm to work in my garden, the weeds are making rapid progress. Weeds are like sin, always giving trouble, and hard to exterminate. Clear. The Rebels are active. They have closely kept plans, something is afoot. I was notified that a meeting with the principal citizens was requested to hear their demands. I hear my tenant farmer, Thos. Miller, was shot at while plowing his corn. I have felt much concern for him, but cannot get thru the line. The Rebels leaving their sick behind for us to nurse and care for. A few stragglers are to be seen, but the worst is over. We congratulate ourselves that we still have a roof over our heads. About 12, in the company of two other men, I walked out to my farm to assess the damage. Everywhere were holes cut in fences and grain trampled down by the exercises of the cavalry. I sustained a great amount of damage, nearly 4,000 men have encamped here. All of my fence gone, about 40 acres of oats and much damage to all other crops. My houses were all robbed of clothing and any kind of gear with which to work. In passing over the fields and woods where they encamped, there is already a great stench. I notice that most of our birds have gone since the appearance of the Rebels, and that flies and insects are more numerous. To my farm, fences nearly all gone, will take perhaps $2,000 to repair damage to farm. My wife and I to the farm. The weeds are unmanageable, the insects have taken all over. Plague of caterpillars destroying my grapevines. Chambersburg. 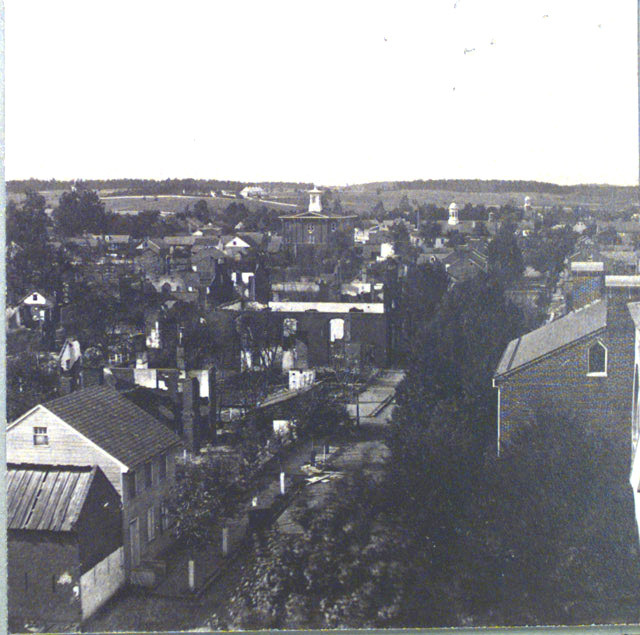 Civil War Image Database, Valley of the Shadow: Two Communities in the American Civil War, Virginia Center for Digital History, University of Virginia (http://valley.lib.virginia.edu/govdoc/search_images.html). 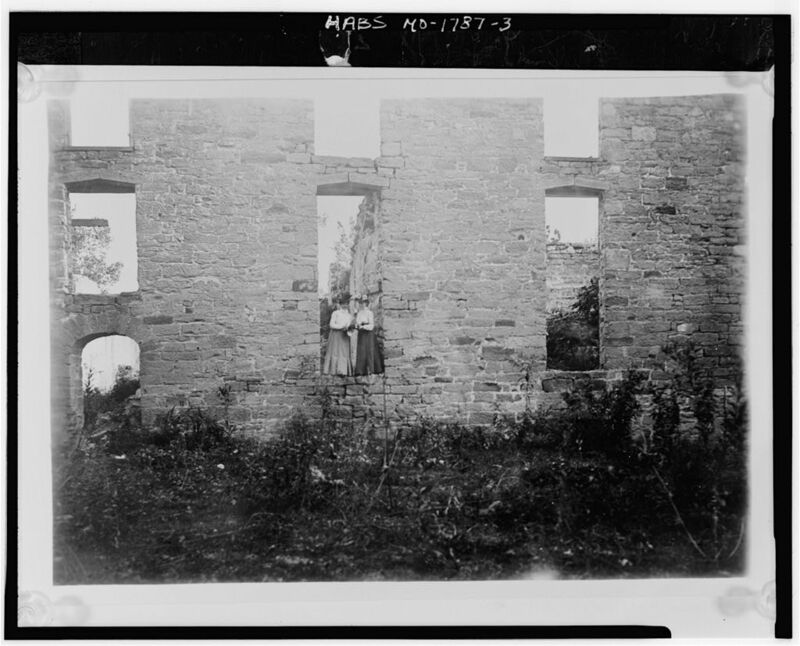 I had intended this post to simply contain an image of the Boonville Wine Company building but then I fell down the rabbit hole that is the history of wine making in Missouri. Thomas Pinney does an excellent job of outlining this history in his important book A History of Wine in America: From the Beginnings to Prohibition. In focusing in on a single winery I realized I could bring light on some particularly interesting details. The first follows yesterday’s theme of wine, the vine, and the Civil War. The second is more of a suggestion for future research, how steam engines changed winemaking technology. I admit this is a rough post, so think of it as stream of conscious research! The Boonville Wine Company was located in Cooper County, central Missouri. This area became noted for its vineyards due to the settlement of Germans from Rhine who fled after the German Revolution of 1848. The soils and hills of the Missouri River Valley were likened to the Rhine so much so that the area around Boonville was known as the “Vine Clad City”. The first vines in the Boonville vicinity are credited to R. D. Perry who planted Isabella and Catawba in the late 1840s. William Haas was employed to prune the vines and soon developed a taste for Catawba. He was to later write that it produced excellent wine “equal in quality and flavor, and comparing favorably with the celebrated Rhine wine”. William Hass eventually planted his own vineyard with five acres of Catawba vines. His wine was sold on the east coast and even won a first in “native dry wine” at the Philadelphia National Fair. Perhaps it is this reputation that secured strong prices for his wine. In the 1857 vintage, just three acres of Catawba vines yielded some 1700 gallons of wine that was sold at $2 per gallon wholesale. Another report cites 1600 gallons sold at $2.50 per gallon. Simultaneous to his personal efforts, William Haas helped incorporate the Boonville Wine Company. 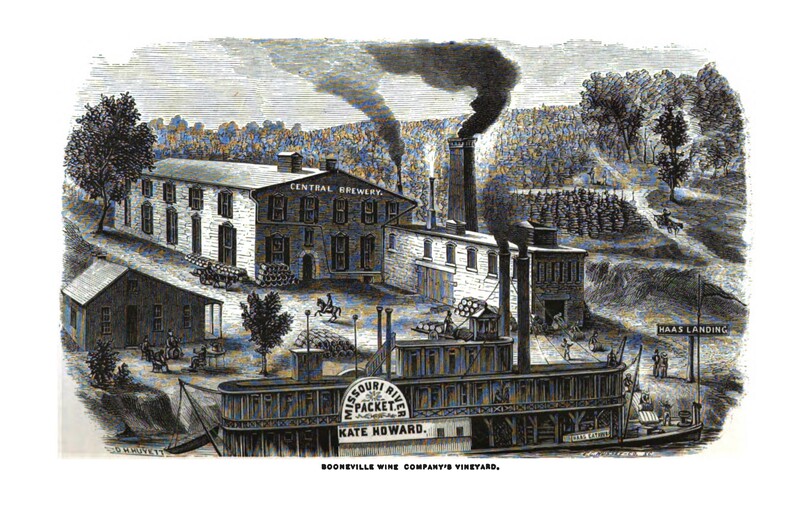 The Boonsville Wine Company was incorporated on November 23, 1855, and went on to be the largest vineyard holder in the area. This company eventually owned some 115 acres of land but only a proportion was used for orchards and vineyard. Four acres were planted with vines in 1857 followed by 16 acres in 1858. The vineyards of the company were located next to those of William Haas. It was natural that in expanding the Boonville Wine Company purchased the 14 acre property of William Haas. The Boonville Wine Company vineyards were located on a high bluff facing the southeast. Much of this area featured bluffs along the Missouri River with deep loess soils. The company’s land was steep so the hillsides were terraced. Each terrace had two to five rows of vines and walls made from blue grass sod. The vines were planted four to six feet apart in rows with the rows five to six feet apart. This allowed a horse and plow to work between the rows. The plantings included Catawba, the popular Virginia Seedling, and Clinton of Chicago. The vines were trained on trellises made of stakes and slats. By 1869 some 20 acres of vines were planted with 18 of them bearing fruit. A crew of ten women were used to tie the vines. 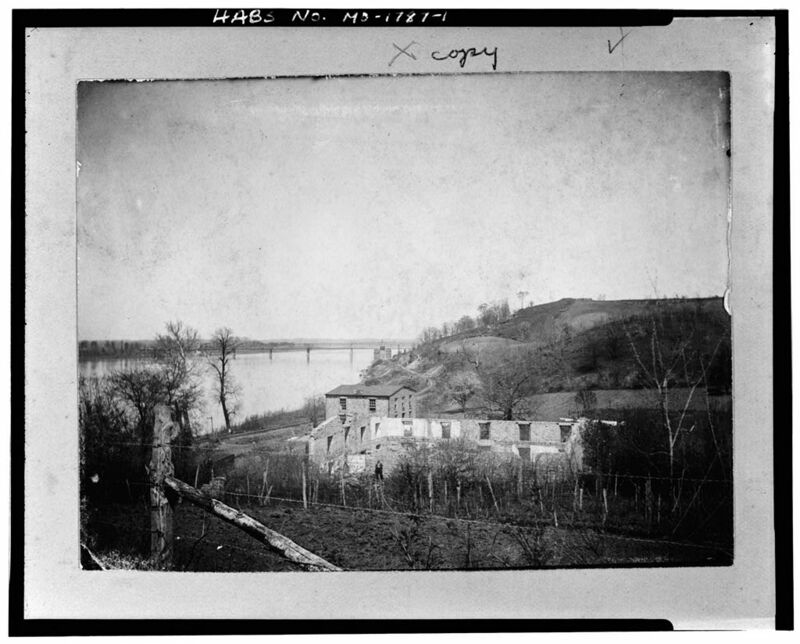 Image from “Missouri as it is in 1867.” Google books. The wine was made in a large stone building that was constructed in 1858. William Haas also brewed beer so the building simultaneously functioned as a brewery and a winery. There were two underground levels with six cellars, one for malt and five for storage. The steam driven equipment included ventilators for the cellars. The grapes were crushed at Miller & Moore’s cider mill using a vat and a large iron screw. I wonder if stream drove the conveyors, the screw, or was used to sanitize the equipment. Soldiers from the 134th Illinois Volunteer Infantry. 1864. 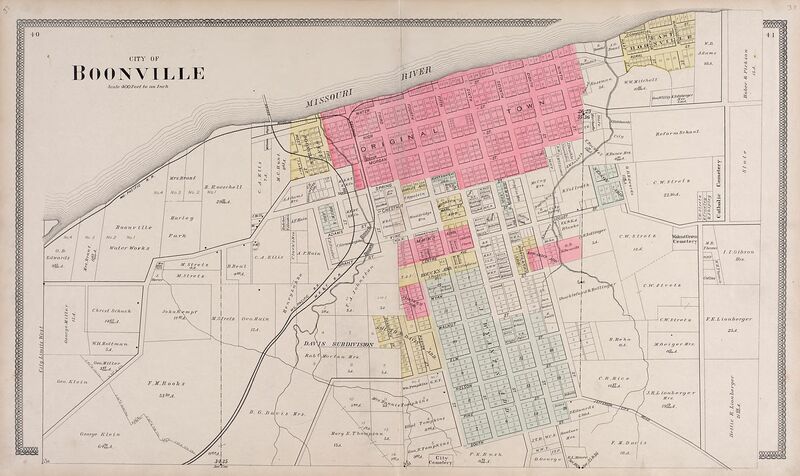 Just several years after the vines were planted Boonville became the site of four minor Civil War engagements between 1861 and 1864. 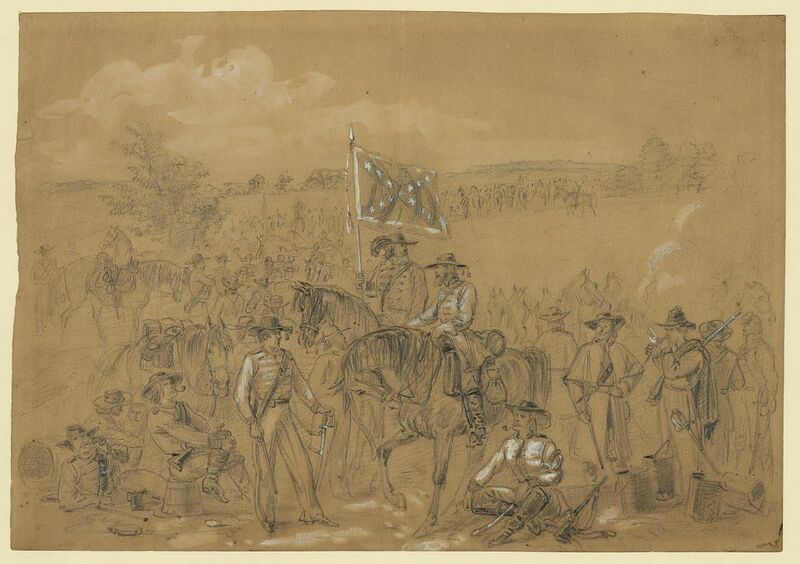 The 59th Regiment of Illinois Volunteers fought for the Union and was camped around Boonville during the fall of 1861. The soldiers ate the grapes as well as drank the local wine. They left feeling that the area could “boast of many fine vineyards.” Two years later, the Confederate General Joseph Shelby led his cavalry raid into Boonville during September 1863. At this time the vines were loaded with ripe grapes. Soldiers stopped to to gather all of the grapes they could from the surrounding vineyards. Some thanked the owners, others offered to pay in Confederate money, but most in “war-time soldier style” took what they wanted and left. It was fortunately a heavy crop. Despite soldier’s appetites, there were still enough grapes left on the vines to presumably make wine. GENERAL VIEW OF MAIN BUILDING WITH VINEYARDS IN SURROUNDING HILLS. ca. 1895. In 1869 the Boonville Wine Company ceased operation purportedly due, in part, to competition from California wine brought over by railway. This is a precipitous failure given that the final spike of the First Transcontinental Railroad was driven in on May 10, 1869, and the state board liked the wines. I do not know the details of what happened after 1869. The vineyard continued to be farmed and even survived the burning of the building in the mid 1890s. In period photographs, the stone walls of the wine cellars and buildings remain standing amongst the vine covered hills. Exactly why the winery ceased operation deserves to be investigated for other Missouri vineyards flourished until Prohibition. I love the history of the vine and wine because it has permeated individual lives for millennia. I find the most compelling historical documents are from letters, diaries, and transcriptions of testimonies. This is why I spend so much time reading through the Proceedings of the Old Bailey and the correspondence of our Founding Fathers. I read from other sources as well, one of which is The Valley of the Shadow based at the University of Virginia. From this archive I have found a number of personal entries that offer a different perspective than I expected on the vine, wine, and the Civil War. 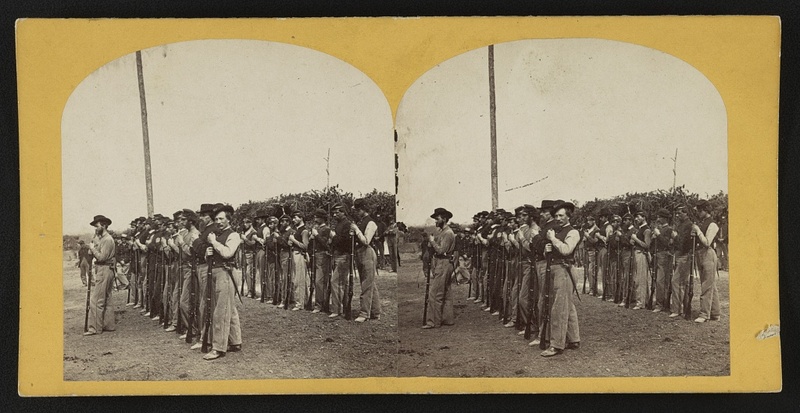 [The 1st Virginia Cavalry at a halt]. September 1862. Waud, Alfred R. Library of Congress. Today’s post features an entry from the diary of DeWitt Clinton Gallaher (1845-1926). DeWitt Clinton Gallaher was initially a Captain detailed as aide-de-camp to General John D. Imboden. Fearing that he would never see a “big battle”, DeWitt Clinton Gallaher resigned his commission as an officer and joined the 1st Virginia Cavalry as a Private in Company E. DeWitt Clinton Gallaher was 19 when he wrote the quoted entry. I must admit it caught me by surprise. To illustrate this post I have included two images of the 1st Virginia Cavalry. I could not find a picture of DeWitt Clinton Gallaher in uniform so I have chosen another uniformed Private of the 1st Virginia Cavalry. 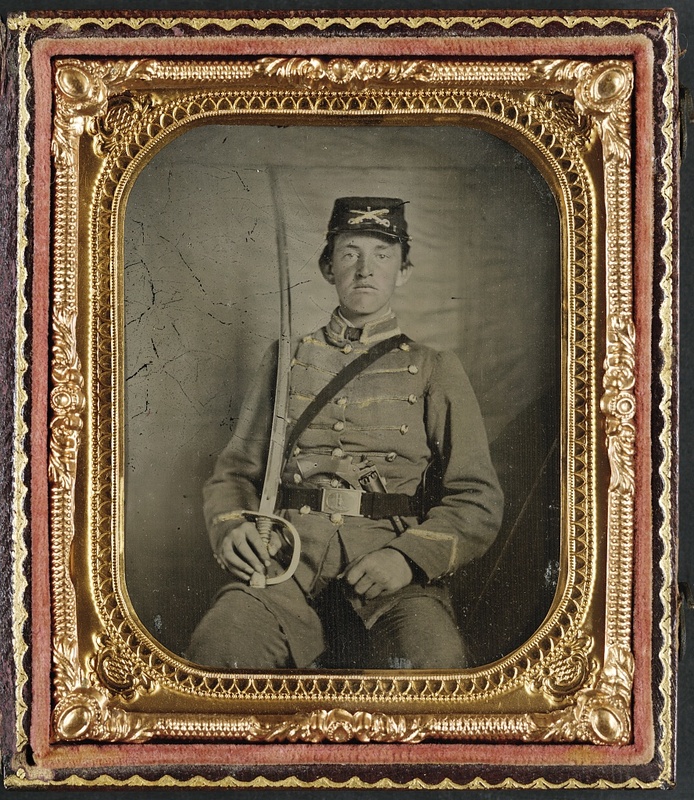 Private David M. Thatcher of Company B, Berkeley Troop, 1st Virginia Cavalry Regiment, in uniform and Virginia sword belt plate with Adams revolver and cavalry sword. 1861-1865. Library of Congress. Encamped at an old Yankee CAMP near Winchester, our regiment ordered down on the Opequon to “picket.” Late in the night we were ordered to go on a reconnoiter towards Berryville. Saddled up and started, very dark and not knowing when or where we would run into the enemy. We were sent down there, about 10 miles, to find out if the enemy was there in much strength. Well, we found them! As we rode into Berryville, our company in advance, we ran right into a big column of Yankees starting out on a raid. It was our Regiment against a Division of Cavalry. We retreated in haste and our Company being in the front in the advance down there, of course we had to cover the retreat back towards Winchester. It was pitch dark and as we flew up the Pike some of the boys got outside of the road, for there were no fences along there (the armies had burned them all up) and in the running through the woods along the road, two boys, Newt Finley and Sam Miller ran under an overhanging grape vine (as we learned afterwards), which caught and dragged them off their horses and were captured. The enemy pursued us some miles and it was a race, sure enough. The wonder is they did not capture the whole of our Regiment! I shall never forget that ride on that dark night! It was to laugh after it was all over, but not when we were riding for our lives and away from the capture or death or both. 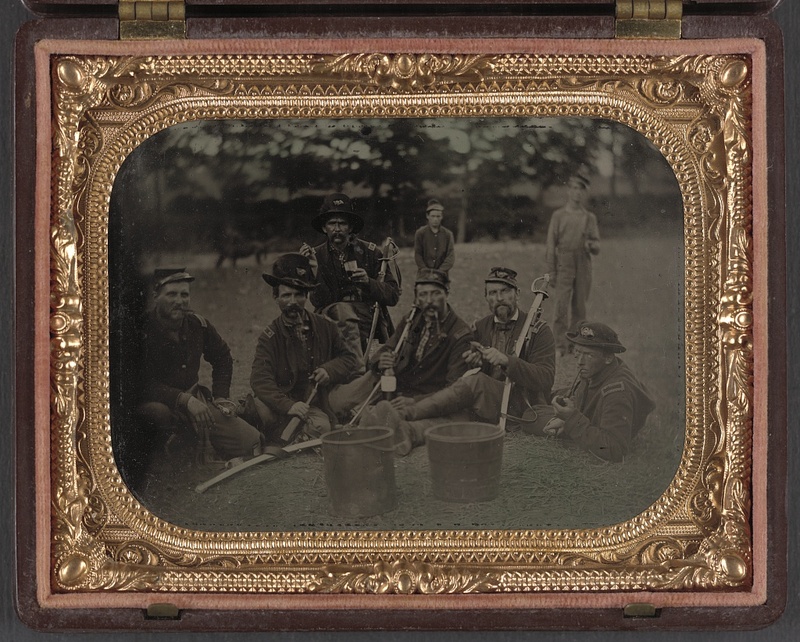 Six unidentified soldiers in 45th Ohio Infantry Regiment officers’ uniforms with sabers. 1862-65. This image shows six soldiers sitting down, enjoying wine and pipes. One soldier is using a cork screw to open an unlabeled bottle of wine, another soldier holds a tumbler of wine, and a third is holding an upright bottle. This upright bottle is interesting because it bears a neat label. The bottle is shaped like a Bordeaux bottle with sloped shoulders, which reminds me of Chateau Haut-Brion. I downloaded the highest resolution image and the label unfortunately is slightly out of focus and all white. Too bad we cannot determine what it is!